I have had a pile of old windows sitting in our basement for years just waiting for some inspiration. 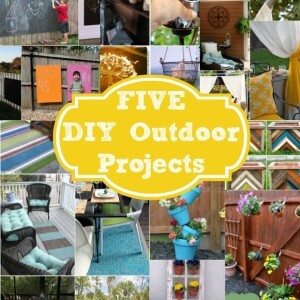 My Lowes Creative Ideas Blogger challenge this month was to create some type of diy outdoor art. 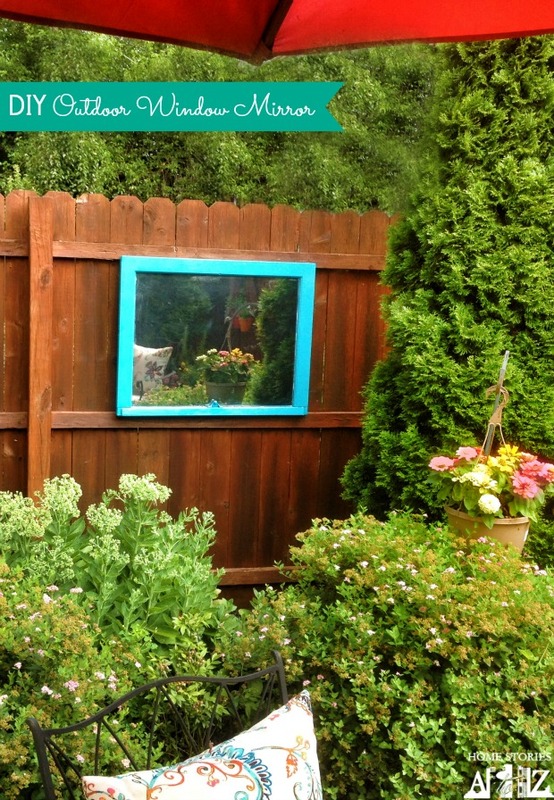 I chose to use one of my old windows to create an outdoor mirror for our backyard. 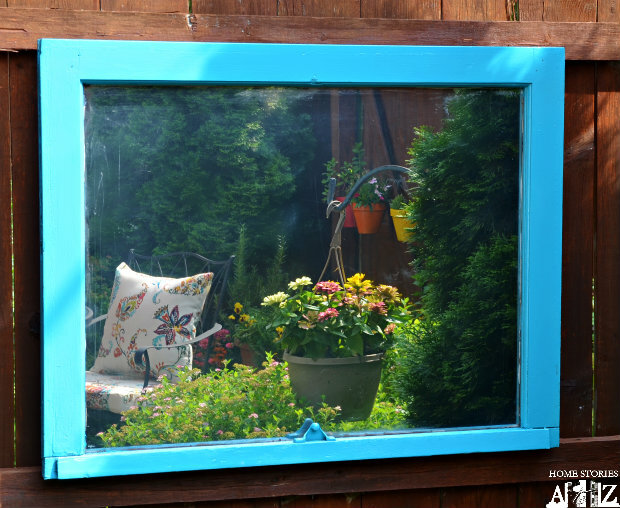 Today, I will show you how to make your own outdoor mirror! Make sure your window is thoroughly cleaned and sanded before you begin. 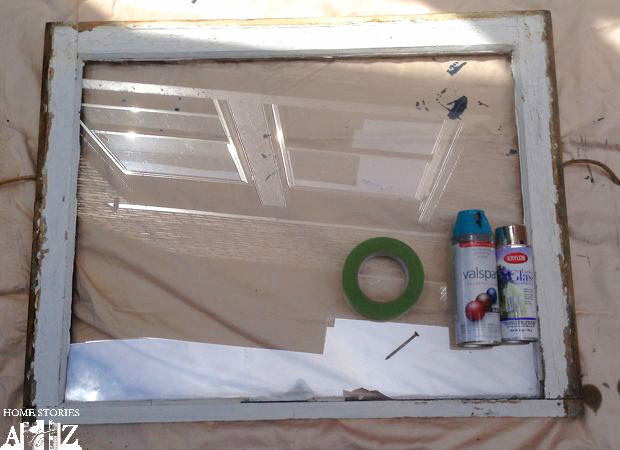 Old windows usually have lead paint so wear a paint respirator and take safety precautions when sanding and cleaning. Spray the Krylon Looking Glass spray paint on the opposite side of the glass that you want mirrored. It works best to apply very light coats allowing them to dry in between applications. 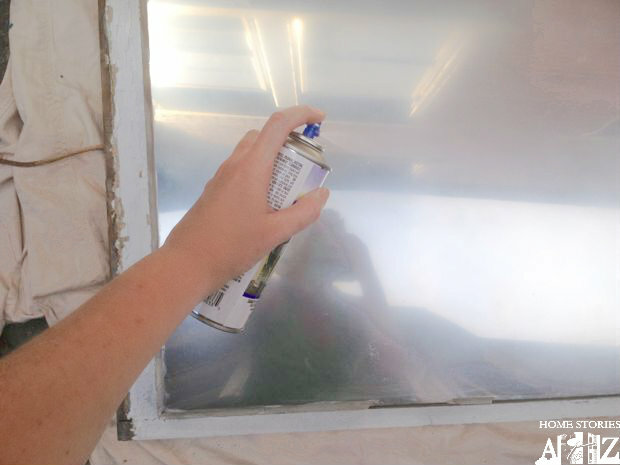 Once your mirrored finish is thoroughly dry, flip your window over, tape it off, prime it, and then spray in your choice of color. I used Zinsser Bullseye 1-2-3 primer and Valspar Exotic Sea spray paint. I left my window overnight to thoroughly dry and begin to cure. In the morning, I attached D-ring picture hangers to the back of the window frame. 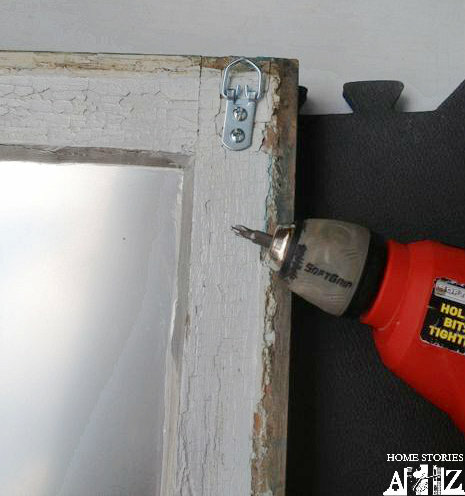 Here is a great tip for you which allows you to easily hang your frame. Take a piece of painter’s tape and place it between your two D-ring picture hangers and cut to length. 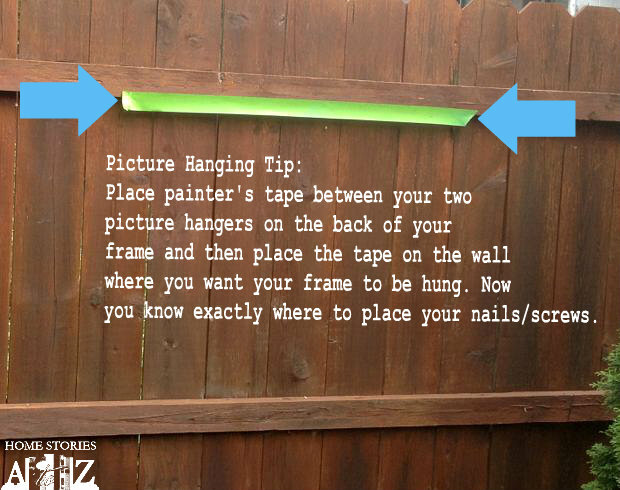 Remove the piece of tape and place the tape where you want to hang your frame. You now know exactly where you need to drill in order to hang your frame. 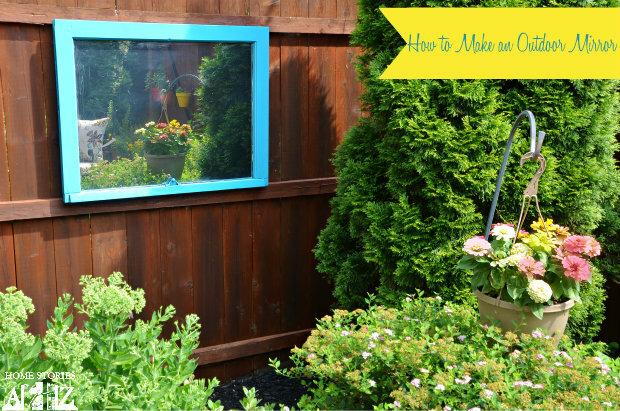 Hang up your new outdoor mirror and enjoy! I love how it adds a pop of color to my boring fence and reflects my pretty flowers. 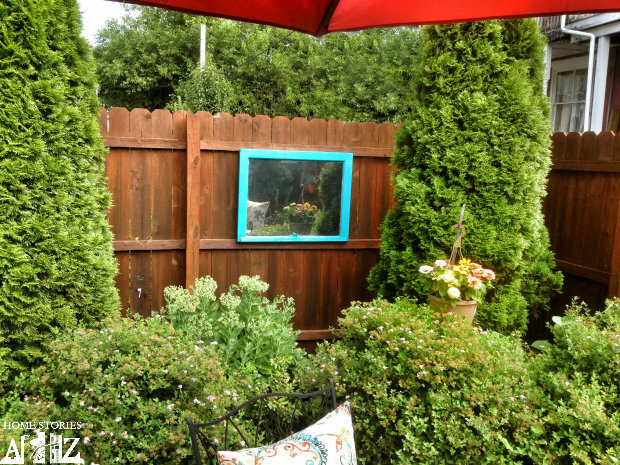 Just like mirrors indoors, an outdoor mirror is a great way to expand a tiny space. Here is a panned-out view so you can get a better feel of what it looks like in my yard. I’m not sure how well it will hold up to the elements since the wood isn’t pressure treated, but it was a free old window and the supplies are less than $20 to purchase if you don’t have them on hand. You’ll have to let me know if you make your own! I’m thinking that for parties it will be fun to write a menu on the glass with a chalk pen or dry erase marker. 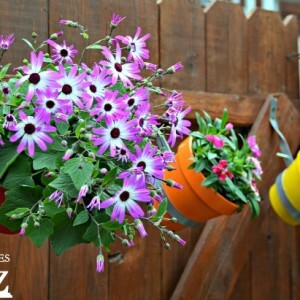 There are a bunch of us bloggers creating fun projects each month for Lowes. 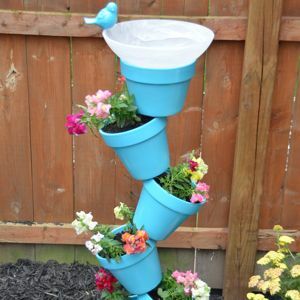 You can see more fun DIY ideas at Lowe’s Creative Ideas, follow Lowe’s on Instagram, Pinterest and sign up for the Creative Ideas magazine and app! I wonder if the Looking Glass Spray would work on Plexiglass? I would love to add an outdoor mirror to my children’s playground but I would be afraid of the glass breaking. Mirrors in the garden are deadly for birds. They will break their necks or die from the impact, confused by the reflection. Who would want their garden to have deadly traps for wildlife? Thank you for reminding us of this! I was planning to make two when I read the concern with birds. I would have been devastated. I have never had a problem with birds flying into this mirror after two years of it being outdoors, but just like a reflective window, it’s a possibility. That’s some fine outdoor living. Love this project! What a great project. I actually have a few mirrors lying around that I could use outside. That space has been needing a pick me up. The looking glass spray works so well! I had no idea that the Looking Glass Spray Paint would look just like a mirror. 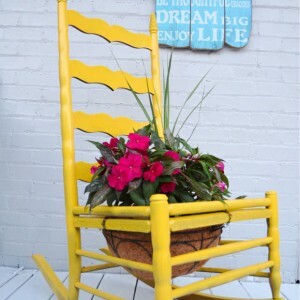 This looks fantastic in your yard. The tip on how to hang things with two separate D ring hangers is pure genius. I hate hanging art with two hooks and this tip will make it so much better. I love the idea of mirrors in the garden, especially when positioned to reflect a beautiful area! Great tips! This looks awesome! 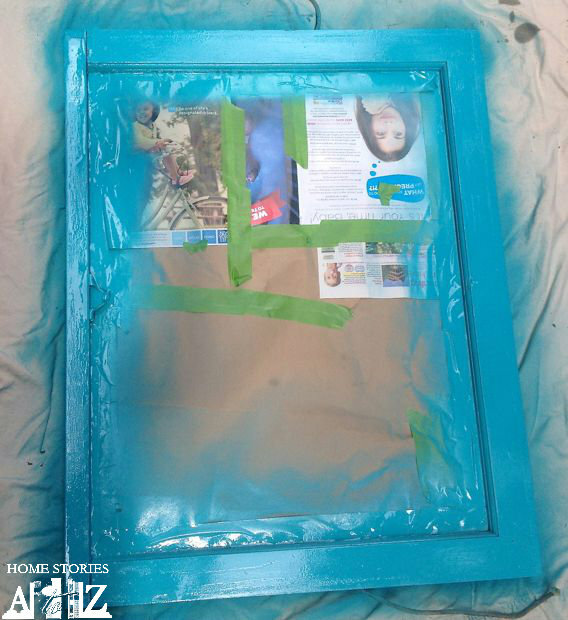 I once did this with an old window and put it on my outdoor fireplace mantle… and when it rained the mirror paint came off 🙁 I may not have given it enough time to cure, but I still like it! Uh oh. Well it’s only been hanging for a few hours and it just rained and so far so good. I’ll be sad if it ruins it so quickly. Keeping my fingers crossed that it stays put.